When the shock of such an intensely ridiculous statement had finally worn off, I got to thinking about how the labels we use affect not only our views of ourselves and each other, but also on our clients’ opinions and expectations of us, as well as the licensing and use of our images. Before I go any further, it’s time for an important disclaimer. After 15 years in courtrooms, I traded in my briefcase for a camera bag almost ten years ago. The content of this article is made up primarily of generally accepted legal principles, but laws differ from state-to-state and country-to-country. Be sure to consult an attorney in your area for clarifications or additional advice and information. For starters, I don’t really blame people for being confused by these terms. I do, however, think they sell themselves short by not taking the time to use them accurately, particularly when it doesn’t take that much effort or research to do so. Be smarter. Learn a few definitions and point yourself in the right direction. COMMERCIAL photography is used to sell or promote a product, service, or idea. Advertising, marketing, and promotional activities all fall into this category. EDITORIAL photography is used primarily for journalistic or educational purposes. Images featuring people and things not licensed for commercial use can be used in newspapers, magazines (print and online), as well as text books and educational blogs. RETAIL photography is generally commissioned or purchased for the client’s own personal use (e.g., wedding photography, senior portraits, pet photography, fine art, etc.). Licensing issues do not arise as often in this category. While the photographer retains the copyright, the client’s fee may include a grant of reproduction rights. Let’s take a look at an example that might help sort all of this out. If I am hired by a company to photograph an event where they are launching a new product, my photos will fall into the commercial category. The company will be using my photos to promote and sell the new product. A photographer from the local newspaper also covering the event can take the exact same photos I do, but they will be editorial in nature. The key here is that the difference is not in the content of the photos or how they were shot, but in the end use. The photojournalist and I have both been paid to cover the same event, but it is how each of our images are used that ultimately defines whether they are commercial or editorial work. You could, by extension, say the same for each of us as photographers. The commercial, editorial, and retail photographer can all be incredibly talented– masters of technique, composition, and capture. But each has a different set of priorities, and thus unique business practices and pricing structures. What they all have in common, however, is ownership of their work. Barring a contract or work-for-hire relationship that says otherwise, the photographer is the owner of the image upon its creation. Translation? The copyright kicks in the instant the shutter closes. Okay– I Have a Copyright. So What? One thing I think we can all agree upon is that we need to protect our work. I’m not going to spend a lot of time here on the copyright aspect. Maybe another time. For now, though, suffice it to say that you hold the exclusive rights to your images from the moment you press the button on your camera. Simply holding onto a copyright, however, doesn’t generate any income for your photography business. That is where licensing comes into play. Photography fees cover our time, our overhead, our experience, even our creativity. Licensing fees, on the other hand, control where and how our images can be used and in what way. Licensing your images properly creates images that can continue generating income long after the shoot is over. What Exactly is a License & Why is it Important? 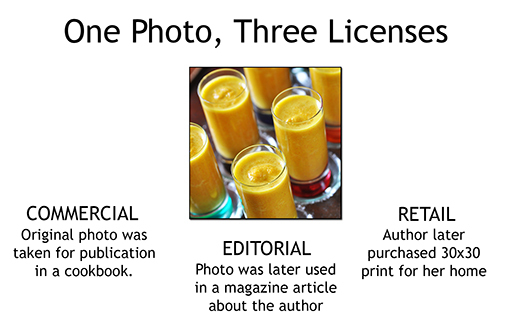 Simply put, a license is a contract in which the photographer grants specific rights to the client who wants to use the image. The client can only use the image within the scope of the agreement. That’s it. Don’t be fooled, though, by the simplicity of the idea. Keeping in mind that simple concepts can still be complicated minefields will help you make sure that you have all your bases covered. If licensing your images is still a new aspect of your business, be sure to talk to people who’ve been where you are. Benefit from their experience and expertise. Do your homework. Clients can obtain licensed photography in two ways. First, they can hire a photographer to create new work (Assignment Photography) which will be licensed for the client’s specific purposes. The second– and less expensive– option is for the client to obtain a license for already-existing work (Stock Photography). While assignment photography is essentially a service business in which the photographer creates something new, stock photography is more of a commodity. As most photographers already know, stock photography is pretty much dominated by a relatively small number of agencies and has a set of business strategies al its own. You can license your own stock directly to your clients, but the overwhelming majority of photographers licensing commercial or editorial photos are doing so with original work. I’ve done a pretty good job in the last ten years of removing “lawyer speak” from my vocabulary, but sometimes old habits are necessary. Bear with me– this won’t take long. We’ve already defined the license itself, but there are a few other terms you need to know. LICENSOR– The photographer or copyright holder who is granting usage rights to another person or entity. LICENSEE– The person or entity to whom the license is granted. CREATIVE FEE– The creative fee is charged by the photographer for his or her efforts to bring a project to a successful completion. In addition to time spent, the creative fee may be calculated including factors like the photographer’s experience, special expertise, reputation, or anything that contributes to the overall creative effort. EXCLUSIVE LICENSE– When granted, an exclusive license limits not only the client in their use of the licensed image(s), but also the photographer in their ability to license the work to multiple users. It’s also important to note that exclusive licenses can be very broad or very specific. The license might grant the licensee exclusive rights to use a photo singly, or in any combination of a specified media, industry, territory, language, time period, product, and/or any other specific right negotiated between the licensor and licensee. NON-EXCLUSIVE LICENSE– The licensor can grant the same or similar rights to multiple licensees. Unless otherwise negotiated, licenses are non-exclusive. UNLIMITED USE– This is pretty much exactly what it sounds like. It’s a very broad grant of rights that permits the client to use the photo(s) across all media types and parameters (e.g., territory, duration, etc.). LICENSING FEE– This is the price charged by the licensor to the licensee in exchange for a grant of rights permitting the use of one or more images in a manner prescribed in the license. The fee can– and will– be based on factors such as circulation, size of reproduction, and specific image qualities. BUY OUT– This is a very imprecise term used to describe a grant of extremely broad usage rights. It has no actual legal definition. It is an incredibly vague term and I wholeheartedly discourage anyone from engaging in a buy out. For starters, the people who are asking you for it may be under the impression that they are acquiring the copyright to the images when they are not. I’m not a huge fan of unlimited use either (unless the client is paying a premium for it), but it is preferable to a buy out. If your client is insisting on a buy out, it is imperative that you make sure they are clear on the concept. WORK FOR HIRE– Also known as “work made for hire,” this term is defined in the U.S. 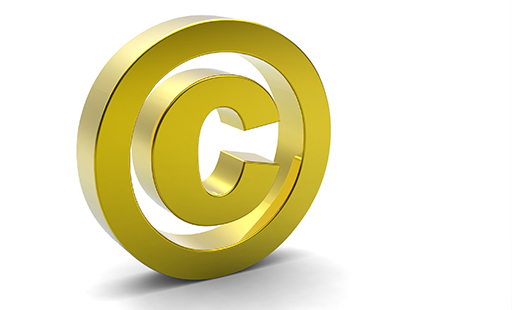 Copyright Act as a work prepared by an employee within the scope of his or her employment, or a work specially ordered or commissioned for use as a contribution to a collective work. What does that mean for you? It means that you may not hold the copyright to a photo that you took while working for someone else. And if you don’t own the copyright, you have no legal standing to license the work to a third party. If you are ever in doubt regarding terminology– either in explaining it or understanding it– be sure to check out the Picture Licensing Universal System (PLUS). Among other resources available on their website, the glossary can be an invaluable tool in making sure everyone is on the same page. One of the first things you are going to have to do for a prospective client is send them a description of the license. This is where negotiations typically begin. It’s no surprise that the client may be looking for more of a rights grant than you are initially willing to give, but at this early stage they may not yet have a firm grasp of how they plan on using the work. There are three things you have to get across in your initial license description. First, you need to be clear that the license will be a grant of agreed-upon usage and scope. Only specified use will be permitted. Second, the description must seek to ensure that the client understands what they can and cannot do with the photos. Third, it will protect your photos from unlicensed usage. The most important piece of advice I can give here is that you must be clear and concise. If you are not an attorney, please don’t try to write or sound like one. Remember that we are talking about your livelihood. This is not the time to think that watching every episode of Law & Order has prepared you to negotiate like a lawyer any more than me watching E.R. prepared me to practice medicine. This is also why I recommend listing the rights granted, rather than writing them out in paragraph form. Sometimes a misplaced comma can mean the difference between success and failure. Write out a list instead– there is far less room for error. While it’s crucial to be clear and concise, it just as important (possibly more) to make sure you don’t forget anything. Like I said– I’ve always been very detail-oriented. If you’re not, find someone who is to help you with this. A good license description will contain all of the following specifics. PARTIES– Remember that a license is a contract between you and your client. The contract will be invalid if it does not properly identify the parties. If you are incorporated or doing business under a name other than your own, make sure to use your business name. Category/Type (e.g., Consumer Magazine Cover). Distribution Format (Printed, electronic download, etc.). Placement specifies the locations or positions where the work can appear in specified media and how many times. For example, Single Placement Front Cover. Other specific permissions can (and often will) include negotiated terms such as size, quantity, duration, region, language, and exclusivity. CONSTRAINTS– Anything that can appear as a permission can also be used as a constraint. I can, for example, grant permission for my photo to be used on the cover of a magazine and a second time accompanying the article inside the magazine. The publication can theoretically be constrained from reproducing the inside image any smaller than an agreed-upon size. Typically, the biggest constraint will be the duration. Your client will be granted permission to use the image from one specific date to another. Once the license expires, the client must pay an additional licensing fee in order to continue using the photo. REQUIREMENTS– This can be a generic catch-all, covering items which do not fall into either permissions or constraints. Continuing with our magazine cover analogy, you may try requiring the publication to insert a photo credit line on the cover or somewhere in the magazine. By the way– it’s perfectly normal and reasonable to request something like this and put it in the license. Remember, though, that sh*t happens and some editor who doesn’t know any better might leave it out. Choose your battles wisely if this happens. The ability to negotiate favorable editorial licenses depends greatly on relationships. Think very carefully before you decide to damage one. TERMS & CONDITIONS– Typically, this will include when payment is due and how it is to be made, as well as any other transactional details. IMAGE INFORMATION– I cannot stress enough just how important this is. Let’s say that you deliver ten images. Your client knows they have negotiated a license– they even have a signed copy in their file. Now let’s assume that the license only allows for the use of two images. You delivered ten images so the client could select the two they want to use, but what happens if they assume that they can use all ten, just as long as they only use two at a time? It seems ridiculous, but you have to assume that something ridiculous is going to happen at some point. You therefore have to make sure that you not only specify the quantity of images, but also which particular images. Your best bet here is to identify the photos by file name. You may have noticed that I’ve not spent any time on fees and pricing. As daunting as learning to navigate legal documents can be, learning the differences between licensing fees and creative fees– not to mention their impact on pricing your photography– is a mountain to be conquered another time. Its absence here does not reflect on its importance. If anything, a proper understanding of the numbers is crucial. There are excellent resources available online through the American Association of Media Photographers, as well as software packages devoted entirely to helping your get the numbers right. We’ve all heard it– “That’s seems pretty high for just showing up and snapping pictures for a couple of hours.” Just like we sometimes have to educate our clients about fees, a first-time licensee may also need our help in understanding the full nature of the transaction. The work you did for a national pizza chain isn’t going to work for the little mom-and-pop pizza joint down the street. Educating your clients– as well as yourself– is another key element in creating strategically licensed photography. Being able to easily and confidently explain to your client why the license contains what it does is a vital skill. The client may or may not have dealt with other photographers before you, and therefore may or may not know what to expect. If you can’t sound sure of yourself, the client is not going to wait around until you can. They’ll be going elsewhere. Quickly. You have to know not only what each and every term in the contract means, but why it’s there in the first place. You’re not only selling your photography, but yourself as well. 1. Listen to the client. Don’t get so caught up in your own vision of the job– or yourself– that you take yourself out of the running before you even get to the starting line. 2. Explain your terms with confidence. If you can’t, you’re done. 3. Be smart. Know when to be flexible. I get that you’re an artist, but your family is expecting dinner on the table tonight. Drawing a line in the sand is almost never a good idea. Treat the client with respect. Even if you don’t get the gig this time, give them a reason to give you a chance on another assignment down the road. 4. Not every client is the right client. You have to be able to recognize when it’s just time to move on. Do it nicely. Do it respectfully. Agents, art directors, publishers– they all talk to each other. What do you want them to say about you? Licensing photography can be an incredibly beneficial income stream for a photographer. 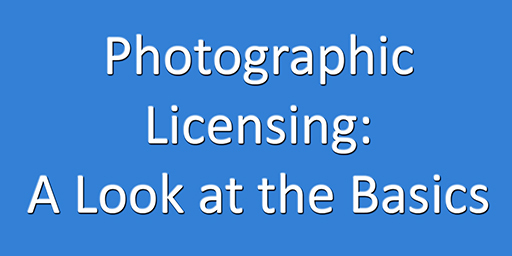 Commercial and editorial photographers will be dealing with these issues much more often than retail photographers, but any and every talented photographer out there has a library of images with licensing potential. Navigating your way through the combination of business, legal, and artistic considerations can be complicated, but it doesn’t have to be overwhelming. It gets easier, and there are resources available to help. You can check out and download a sample license agreement here (and in word format here). A “lawyer in recovery,” Jeff Guyer is an Atlanta, GA photographer specializing in commercial and portrait photography, as well as weddings, sports, and street photography. You can connect with him on Facebook and Twitter, and check out his work at Guyer Photography. Tips to Get Paid From Photography Use Requests Who’s Killing The Photography Industry? Could YouTube Style “Matched Content” Be The Solution For Licensing Journalism and Photography? Once in a while, I go to sports events to take some photos on my own volition (i.e. I am not hired to shoot the event). As I have “professional equipment”, the event hosts usually give me privileged access to the playing field in exchange for signing a photography waiver. – They reserve the right to demand that potentially derogatory pictures should not be published. While the last one is fair and it’s in the photographer’s interest to respect it, the other two feel a bit abusive. As not only they get promotional material for free, but they prevent me from making any money from it. At first I didn’t mind so much as I needed the experience, but I have now started refusing to shoot at events that requires such waivers to be signed, as I wonder if they’re even legal. I see this all the time and I understand the frustration. If there’s an event I’d really like to shoot I will contact the event organizers and ask for credentials, telling them up front that I do not expect to be paid and that I will share my photos with them. If they want me to sign something like you’ve described here, I have to decide just how badly I want to get those photos. I also, though, usually reply with a brief education in copyright law– explaining that as the photographer (unpaid at that) I have the exclusive right to do as I reasonably please with the images. Sometimes they let it pass, sometimes they don’t. The problem is that they did not write the waiver, but someone higher up the food chain told them that you need to sign this. I’ve tested the bounds of these documents on more than one occasion with no negative results, but it was a chance I was willing to take. You need to decide the answer to that question for yourself. Thank you Jeff for writing this. When they get your file, everything can become out of control. This was very helpful. Thanks for posting and explaining. Say you’re taking portraits for a musician. There are several ways for usage: album art, promo, merchandise. Wouldn’t using the portrait in a magazine be considered promo instead of editorial? This discussion seems to leave out an important scenario: A naive client pays a sackful of money to a photographer to snap images of product. No license or work-for-hire agreement is in place; the client uses the photos in a catalog, as was the disclosed intention all along. The photographer then files a complaint for breach of copyright, taking advantage of the unintuitive concept that he owned the copyright even though he was paid a fee to do just what he did. The law seems conveniently set up for photographers to exploit naive clients who imagine that they are getting something for their fee other than an opportunity to be extorted by the photographer. I would be interested in a discussion of this scenario. Jeff, Thank you for taking time to share this information. Your article is extremely helpful. NOTE: The sample agreement provided nowhere warrants that the photographer actually is the copyright holder. You could be paying fro rights that the “licensor” doesn’t hold, and you’d have no recourse. It does have an area to specify who the copyright holder is. Did you read the agreement? Wonderful information. I needed just this info for a class and you made it so much easier to understand than many other articles I’ve read. Thank you for a great article. I am having a small issue with a clothing client. They are a wholesaler that I shoot for about once a month. We shoot dresses and swimwear. We do about a 2 hour shoot with two models. The store never brings their own model releases and so I’ve used mine but for some of the other shoots we were press for time because the models showed up late, etc. To make matters worst this client always wants everything cheap, cheap, cheap and wants the pictures like yesterday! Ok, now my problem, we’ve been working together for over a year with no licensing agreement. My photos have basically have been going on their wholesale website. Now I just found out that this client has been giving, loaning, or selling my photos to his retail clients to use on their websites when he sells to them. I’m seeing my photos on one retail site in particular that is making lots of money using my photos. I don’t know if wholesalers normally do this when they sell their products. Maybe their retail client said they don’t have time to do photoshoots. Do you have any photos? In the fashion world their is much thievery between websites stealing garment photos. Some websites will even crop the head off the model so you can only see the garment. Anyway, I’m working dirt cheap just to keep this wholesale client and now I’m seeing my photos on another website that I didn’t even shoot for. I don’t want to lose this steady client or an opportunity to gain a potentially bigger one. Any advice? They’re making money with their own product, not yours… why would you feel entitled to a share of something for which your job was to merely demonstrate in action. At the end of the day, he’s not selling the *pictures* you took — that certainly would be a problem. He’s selling the product he hired you to take them for, and he’s using the photos he hired you to take to help sell the product, which is why he hired you to take those photos in the first place. Just my two cents. The wholesaler is giving away the photographer’s product. It’s the same thing as making a copy of a CD and giving it away to anyone who asked for it. How would you like it if someone took your work and gave it to other people without paying you, or even telling you? The photographer has regrettably let this situation occur by not having a clear license in place, and the wholesaler probably doesn’t even realise what they’ve done. There is a perception that an image isn’t the same thing as music or a book, largely because books and CDs come with a licence printed in them, whereas images often don’t. Think the solution here is that the photographer needs to explain the situation to the wholesaler and say that it is not on, and from now on there will be a license in place. Not an angry conversation – just a friendly chat. Tell the wholesaler that you’re happy for your pictures to be used elsewhere – for a fee, because that’s how commercial photography works. As for the Hollywood store, what you’ve done sounds good. The only other option is send them an invoice, which would rock the boat as you say. Probably best to treat them as a lead, and keep trying to get to talk to someone. You could even send them a licence to use your images. @timgould:disqus yeah, good luck. Ask Hollywood how well they’re keeping a lid on that problem. The wholesaler is using the photographs they got for the exact reason they got them. If the wholesaler is actually selling the photos to the retailer and the photographer wants a piece of those sales, that makes sense. But it sounds like the photographer wants a piece of the *actual product* being sold (“I’m seeing my photos on a retail site that is connected to a Hollywood tv show and it is making LOTS of money.”) If Im reading this correctly, he’s saying they’re using his picture to sell a product (not selling his picture). Which means he’s basically asking for a business partnership with an actual stake in the company. The product being sold may be making lots of money, but that has nothing to do with the photographer. Products have to be designed, sourced, produced, warehoused, distributed, customer service, etc. If he thinks he’s entitled to a piece of a finished product simply because he took a picture of it, that might be a very futile fight. If he thinks he’s entitled to, say, a piece of a product because they used a picture he took ON the product, that would make sense. Still though, @fredhandy:disqus … make them sign a licensing agreement! superb and timely article. I have just had my first commercial enquiry for use of images on a website to promote a hotel. The client states use for website and “other future marketing material”. How should I address this statement in a license and pricing. Should I only publish a license for the initial known use ? I’ve recently decided that I want to try to sell some of my photos. I don’t claim to be a professional, but I do think that I’ve taken some striking shots. Is there any advice you can give beyond licensing that could help me get started? thank you for the guide, it’s an eye opener and a good starter to make my hobby into a profiting activity. I friend of mine used a photo ( a ladies picture) in a Facebook sponsored post. He got the photo from a pinterest post. A photographer contacted him and said he was violating copyright laws and asked him to pay $1000. The photographer said the lady (model) in the photo also wanted $1000. The photographer said the model paid him for the exclusive usage of the images from the shoot. Is this a legit claim from the photographer and the model? yes it is. photographer owns the copyright to all images and no one can use without permission, it’s a violation of copyright.